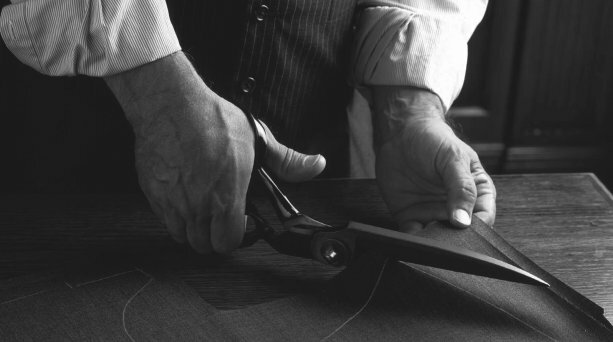 With over 30 years of experience, we have become London’s leading experts in Jacket Relining. Our experience combined with creativity and attention to detail allows us to reline any type of jacket to a very high standard. Our talented, fully qualified tailors and seamstresses will replace your jacket lining making sure that every detail is matched precisely. We will ensure that after we have relined your jacket you will be left with a finish that looks completely authentic and original. At your first appointment you will be offered to choose your new lining from a wide selection of luxury linings, or perhaps you would prefer us to help you find the perfect match for your jacket. Whether you choose a lining of a similar colour and texture or decide on a contrasting colour with a luxury pattern, our alteration specialists will be there to assist and offer their expert advice. We will of course make sure that the stitchwork, thread colour and every single detail are matched precisely from the original lining. Why choose us for your Jacket Relining? Our highly experienced and talented Savile Row trained Master Tailors and Dressmakers are fully qualified and will use the correct techniques to reline your jacket. We are London's foremost experts in Jacket Relining with over 30 years' experience and we are recognised for our meticulous attention to detail, reasonable prices and excellent customer service. As our Savile Row Tailors are Bespoke Suit makers by trade, we are able to reline jackets using traditional and perfected techniques. What sets us apart is our ability to work to a factory finish which means that when we reline your jacket the alterations are unnoticeable and untraceable. We will focus on your needs and work with you on a one-to-one basis. This means that the same Master Tailor you see at your first fitting will attend to you during all your fittings, as well as work on your jacket. As our Tailors have at least 25 years of experience, we can assure you that your garment will be in the best possible hands. Alterations Boutique is a VAT registered Limited company with a comprehensive insurance policy that covers your Jacket whilst it is in our possession. Unfortunately, there are individuals that have set up rogue businesses that do not pay tax, take cash only and do not have the correct insurance in place which means you and your garment have no protection. We are proud to be a British company that complies with all rules and regulations to provide peace of mind to our clients.